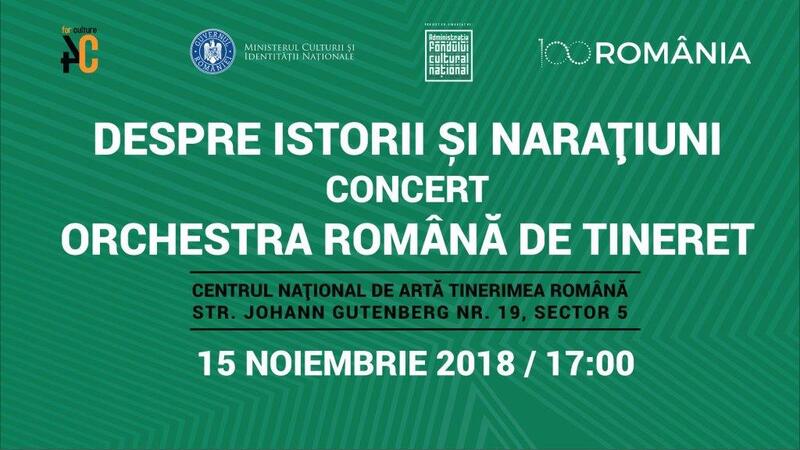 The 4Culture Association invites the public to attend two events aimed at contributing to the recognition of cultural values ​​of modern Romania and the role of women in the Romanian society in the last century, organized within the About History and Narratives project on the 14th and 15th of November 2018: a debate and a concert designed to celebrate the Centenary. The project is developed in collaboration with the Romanian Architects Order – Bucharest Branch, The National Heritage Institute of Romania and the National Art Center of Romanian Youth. The “History and Narratives. 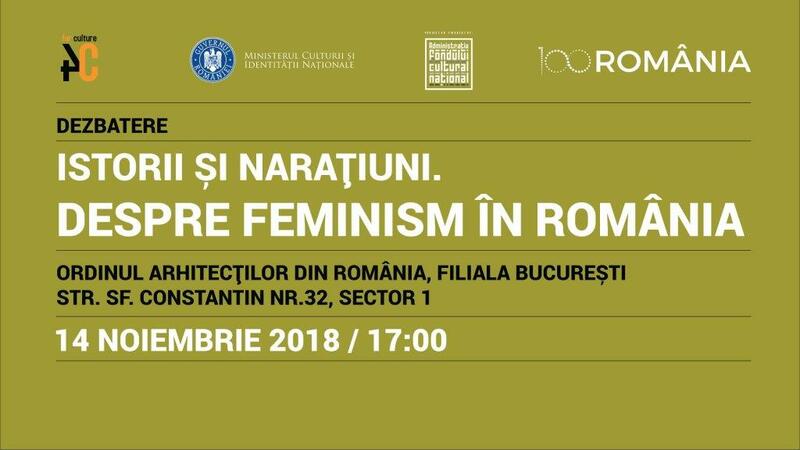 About Feminism in Romania” debate, hosted by the Romanian Architects Order – Bucharest Branch on November 14, 2018, at 5 pm, also represents a tribute to the first female architect in the world, the Romanian Virginia Andreescu Haret. At a time when women were deprived of most fundamental rights (the right to vote, culture and education, equal civil and political rights), Virginia Andreescu managed to become the first architect woman in Romania to practice her profession at the highest level, being very appreciated in her field. Architects Carmen Tanase, Raluca Visinescu and Iulia Stanciu, Dana Mihai, program director at the National Heritage Institute, Françoise Pamfil, architect, editor in chief at Igloo Media and Associate Professor at “Ion Mincu” University of Architecture and Urbanism and Valentina Iancu, art historian and cultural journalist will attend the debate among other guests. Marin Cazacu, violoncellist, soloist of the George Enescu Philharmonic in Bucharest and manager of the National Art Center of Romanian Youth, presents on Thursday, November 15, 2018, at the Romanian Youth Palace, starting 5 pm, the concert played by the Romanian Youth Orchestra soloists: Rafael Butaru (violin), Iulia Cazacu (violin), Adrian Vasile (viola), Ella Bokor (violoncello) and Stefan Cazacu (violoncello). The entry is free and the persons willing to participate can reserve their place at communication@4culture.ro and also visit the photo exhibition dedicated to the work of Virginia Andreescu Haret on the same day in the foyer of the Romanian Youth Center. The concert will be preceded by the organization of a guided tour addressed to high-school students at the National History Museum of Romania, as well as by an architectural tour on Calea Victoriei (Victoriei Avenue). The About History and Narratives project launches the participants, including architects, artists, curators, art history researchers, gender, sociology and anthropology specialists, the challenge of referring to memory as a collective phenomenon to investigate the manner in which we represent and interpret it, but also its contribution to the recovery of cultural landmarks of the Romanian state. The program includes several activities that involve synergic cooperation between different fields, such as architecture, photography, installation-object, music and performance, in order to stimulate the creative participation of the public and its closeness to the national cultural identity, marked by Romanian personalities.